The AMD FX-4300 is a budget quad-core processor which unlike its predecessor, the Bulldozer FX-4100, is based on the Piledriver micro-architecture which was released in Q4 of 2012. 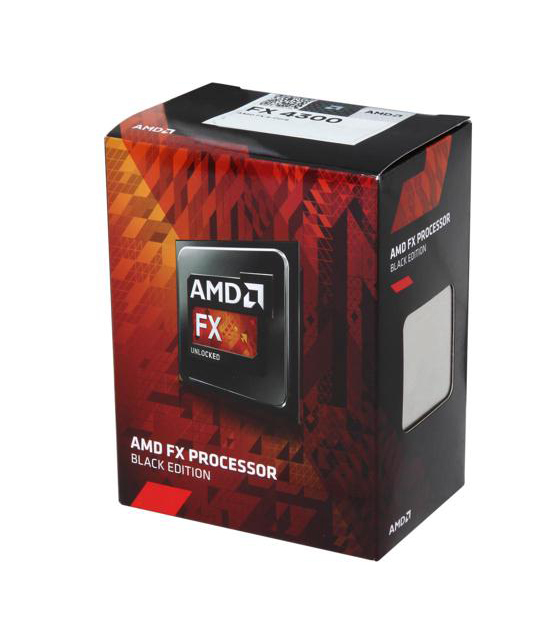 The AMD FX-4300 is a budget quad-core processor which unlike its predecessor, the Bulldozer FX-4100, is based on the Piledriver micro-architecture which was released in Q4 of 2012. Its base clock speed of 3.8 GHz boosts to 4.0 GHz in turbo mode and with appropriate cooling can be overclocked to speeds of over 4.5 GHz. Even though these numbers are impressive, the real world effective speed is only 66. This is ok for general computing and even gaming when coupled with an appropriate GPU. The user experience will, however, be noticeably snappier with a CPU that has better single-core performance. Whilst the FX-4300 is cheap, it’s not so differently priced from the hexa core FX-6300 which offers significantly improved multi-core performance.